Canyon Run Apartments is a 51 unit affordable apartment complex consisting of studio, 1, 2, 3 and 4 bedroom units. 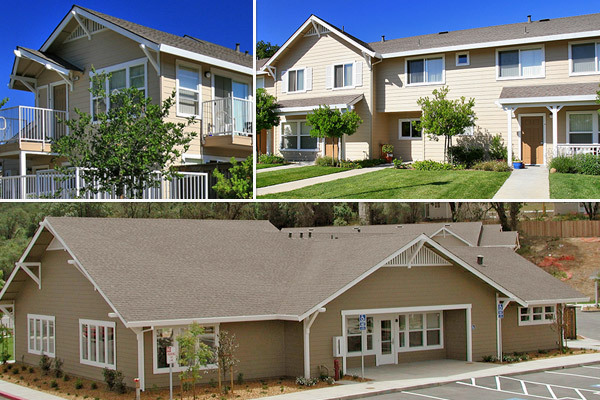 The project was designed for the Burbank Housing Development Corporation and financed by the California Housing Finance Agency in addition to other funding sources. The design and construction document phases of TFA’s work required close coordination with CHFA field and architectural staff. Project design, construction documents and specifications were produced to meet CHFA design, material and accessibility standards. The project is located on 6.7 acres within a neighborhood of single family homes. A large community building adjacent to the play area serves the tenants. TFA resolved several difficult site issues, including development of a sloping site to meet accessibility standards and building placement constrained by one active and four inactive seismic fault lines.